Upon graduating Pratt, I was introduced to the legendary artist rep, Ted Riley, by my mentor, James Grashow. Riley had an impressive stable of talent with the likes of Robert Andrew Parker, Pierre Le-Tan, Sempé, etc. 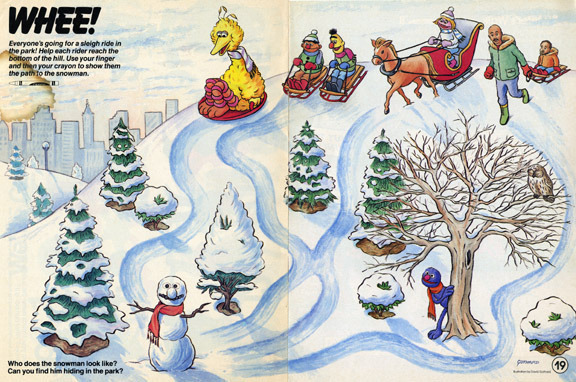 He also had developed a working relationship with Children's TV Workshop, the creators of Sesame Street. He asked a simple question: "do you like the muppets?". When I replied that it is impossible not to like the charming puppets, he asked me if I could stand drawing them repeatedly, and so I became his fledgling in a group of giants with the understanding that I would become a muppet factory and he would also present my editorial work to publishers. I was sent to Muppets HQ where they pulled Bert & Ernie from their morgue like drawers for me to sketch. 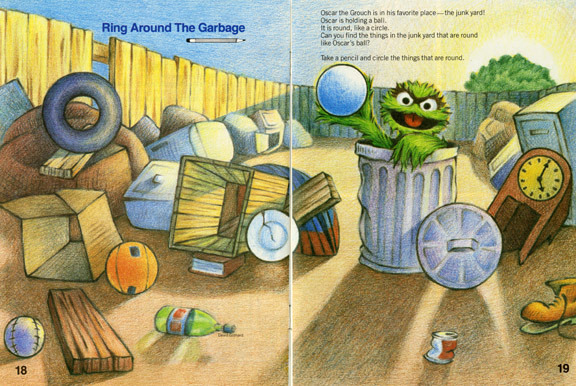 I was given my first test to do a spread of Oscar the Grouch in a junkyard. It was received so well that I quickly became busy illustrating toys and books and clothing. 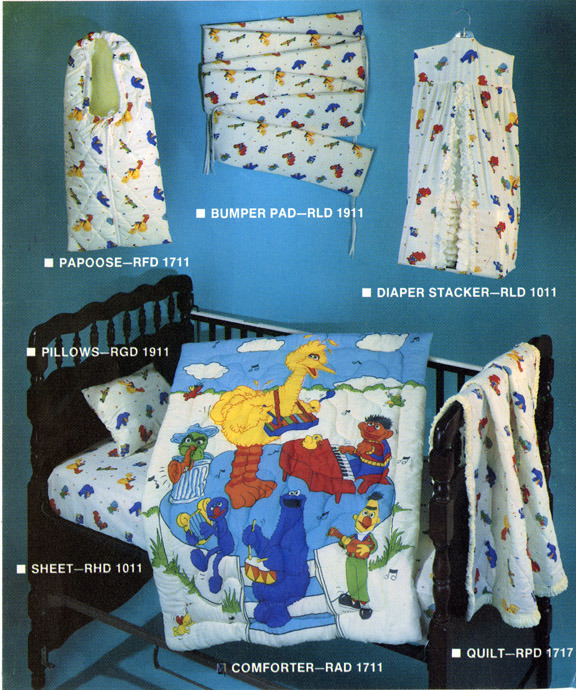 There were few items that I did not put a muppet on. My favorite projects were the 3D ones, such as music boxes, shoelaces, busy box and life vests. The 3D projects I sculpted in clay and were sent to Taiwan for mass reproduction. It was a prosperous way to begin a career, but ultimately left me feeling bereft of any real creativity. After Ted Riley passed, I ended my relationship with the muppets and instantly took a financial nosedive. In a year or two afterwards, I had enough magazines and newspapers supplying me with regular work that I declared career recovery. 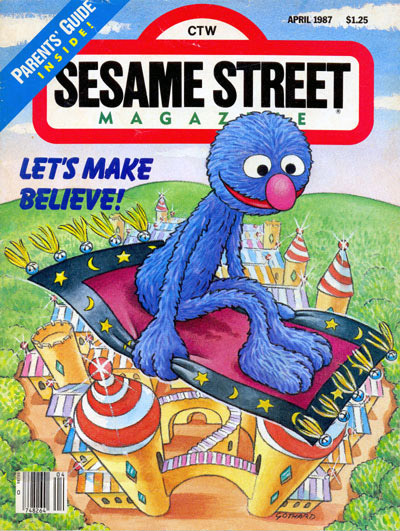 At the time, I remember always plotting my escape from muppetland. But now I look back fondly and with no apologies. My skills for drawing the muppets remain, but only come into play when a tantrum throwing child needs to be soothed on the subway. David, I can really appreciate this post. I spent quite a few years in NY in licensing, we revered the Henson artists. I'm going to have to rifle through my son's books to see if I can find your work. with the understanding that i would become a "muppet factory" - haha. 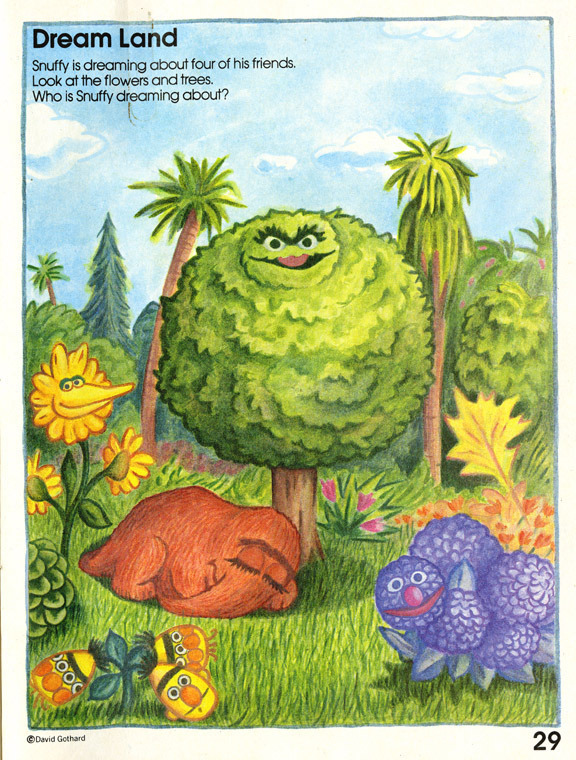 those weird monster-berts are pretty great, very out-there. David... what a history!. I am impressed. Great Stuff. You always amaze me with your stories and background. Great timing on this wonderful post from the past. It's fun to see these and to get a glimpse of what the young David was up to! I agree with Larry et al! #29 - I have the original! I feel very fortunate. Been thinking about your muppet talents as they've turned 40 and glad we were friends at the time of your employment there.